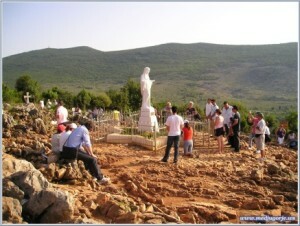 Welcome to Medjugorje – one of the most famous Roman Catholic shrine in the world that has become famous for the apparitions of the Virgin Mary, which first started in June 1981. During Roman times, this area belonged to Narona County. Found the remains of the late antique basilica. 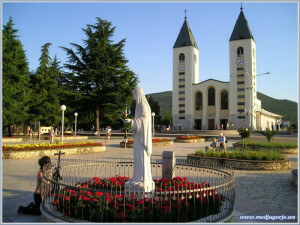 Medjugorje is first mentioned in 1599 in historical documents, as an autonomous parish. The present parish was founded in 1892 and is dedicated to St. James, protector of pilgrims. The present church was completed in 1969 and dedicated to St. James Zebedee. The first church was built in 1897, but after the First World War, because of the instability become neupotrjebljiva, and in 1978 was demolished because it was because of the collapse has become dangerous for passers-by. After June 24, 1981 writes a different history when they began the apparitions of the Virgin Mary. Since then, this place in Herzegovina, one of the most visited Marian shrines, pilgrimage that annually about one million pilgrims from around the world seeking peace in faith. 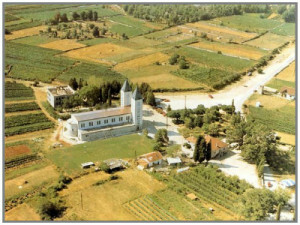 Centers around the sanctuary of Queen of Peace, as the Shrine of Medjugorje officially called the Church of St. James, the Apparition Hill and mountain Krizevac. 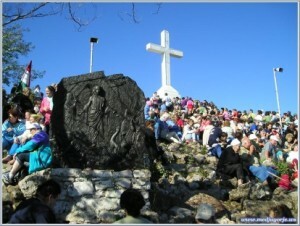 Apparition Hill - the place of the first apparitions, is located in Bijakovici, a few hundred meters above the VILLA RUŽA. From the house to the town apparitions leads steep path along which the 1989 bronze reliefs of joyful and sorrowful mysteries of the Rosary (the work of prof. Carmelo Puzzolo). At the site of the apparitions, in honor of the 20th anniversary, was a statue of the Queen of Peace made the model of which is located in front of the parish church (the work of Dino Felici). Encounter with Apparition Hill for the pilgrims encounter with Our Lady through personal prayer and prayer of the rosary.